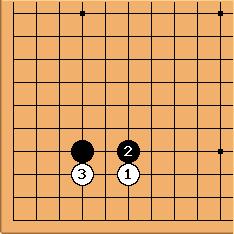 One common joseki for the 4-4 point low approach is the tsuke-nobi. 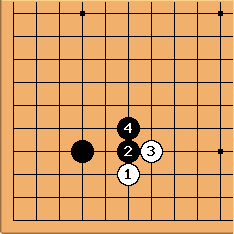 Instead of the hane, White 3 plays a tsuke underneath the hoshi stone. How should black respond?